When you're expecting, one of the first things you may think about is getting comfortable in some cute maternity clothes. As a plus size mama, I was looking for a trustworthy brand that understood my needs in finding the proper fit, yet wouldn't leave me feeling frumpy... so when I took a look at PinkBlush Maternity, I really was eager to test out their sizing and style! PinkBlush Maternity is a family business that is fashion forward, offering trendy maternity clothes made with high quality fabrics. With spring ending and with me being at the very end of my pregnancy, I wanted lightweight options that would easily coordinate with other items I had already in my closet. I think tank tops were an excellent choice and PinkBlush has a great assortment of tank tops ready for you to add into your summer wardrobe! 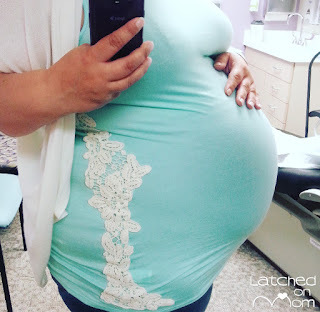 I was sent the Mint Green Fitted Crochet Side Plus Size Maternity Tank Top and the Emerald Green Basic Plus Size Maternity Tank Top in exchange for review. I really love the Mint Green Fitted Crochet Side tank. The color is so fresh and the crochet detail on the side is very feminine. I paired it with an off white knit cardigan and I felt very beautiful in it, even just wearing jeans! The rayon material is so soft and buttery, it has a slight stretch (5% spandex) and is very accommodating for the growing belly. It is longer (32 inches), covering your whole belly, no having to pull it down... it stays nicely in place. I was thrilled when a good friend of mine offered to take a few pics of me to remember the special moments of pregnancy. Isn't this one of me with my two little girls just so precious!? This tank helped me feel confident during my photo shoot, which I'm nervous about typically... but that gorgeous mint color and that crochet detail on the side helped make me glow, don't you think? Here's a close up of the beautiful crochet design that I took while at the OB office when I was almost 38 weeks pregnant! The Emerald Green Basic tank is definitely a classic! It is made of the same soft rayon/spandex material as the other tank. It is also longer (30 inches) but it has an empire waist which really shows off the baby bump. I love the flowy look of this tank and I thought it looked really chic paired with a black tapered cardigan and maternity jeans. Both tanks look great with jeans, slacks, skirts or even leggings. My son, who is 13, took this pic of me wearing the Emerald Green Basic tank! If you're looking for something more dressy, check out one of their top sellers- the maternity maxi dress! PinkBlush provides clothing to wear during pregnancy for sizes from XS to 3X, so you're bound to find something that will fit you perfectly! I'm a size 22 and ordered both tanks in size 3x. I feel that the fit was just a little loose, and would say size 24 or even maybe a size 26 should be able to get into the 3x size pretty well, too. PinkBlush also has women's and women's plus size clothing, so you can stay stylish after (or before) baby too! 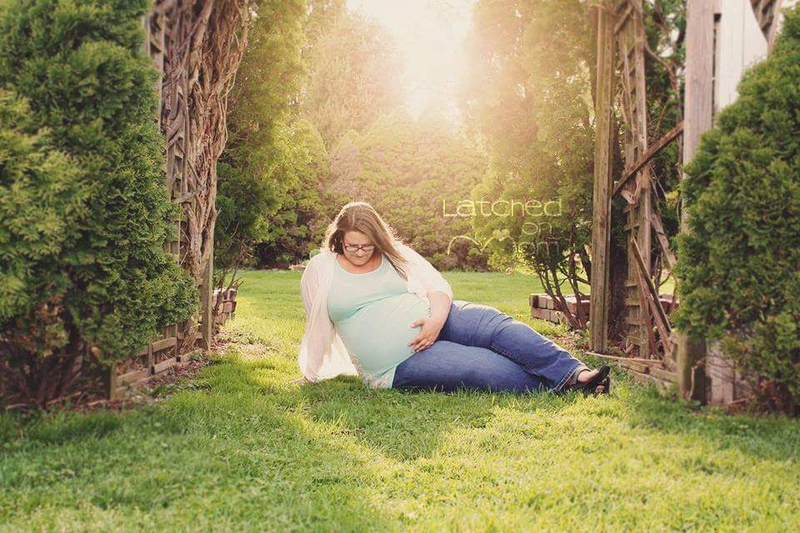 I couldn't be happier with the quality, fit and style that PinkBlush Maternity provides for it's customers! 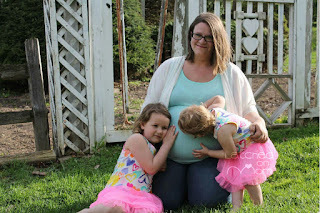 What's my favorite thing about PinkBlush Maternity? When you're pregnant, ESPECIALLY at the end of pregnancy, dressing pretty and pampering yourself really helps you feel better! PinkBlush has very high quality fabrics and make it easy to feel like a million bucks, without spending a fortune! Is there anything I'd change about this product? Absolutely not! I give PinkBlush Maternity a 10/10! And don't forget to hop over to Facebook and give PinkBlush Maternity a LIKE & FOLLOW on Twitter to keep up with new products and valuable deals! GUESS WHAT?! I get to to share a giveaway with my readers for a $75 Gift Card from PinkBlush! Isn't that exciting? What will you buy if you win? Leave a comment and enter the competition form below to enter! The winner will be emailed, announced here in the giveaway widget once closed and I'll put a shout out to the winner on Facebook- LIKE Latched On Mom on Facebook so you don't miss those notifications! Make sure to sign into the form using the email address you check most often! You will only have 48 hours to respond or another winner will be drawn. Must be 18 years of age or older. Void where prohibited. Giveaway will run from 6/10/16-6/25/16. Open to US and Canada. GOOD LUCK!!! I love that tank with the crochet on the side! I adore the fitted short sleeve dresses and the lace dresses! Everything is so pretty! I love their hospital robes, especially with the crochet detailing.And they have really cute maxi dresses that are perfect for summertime. Love Pink Blush!! 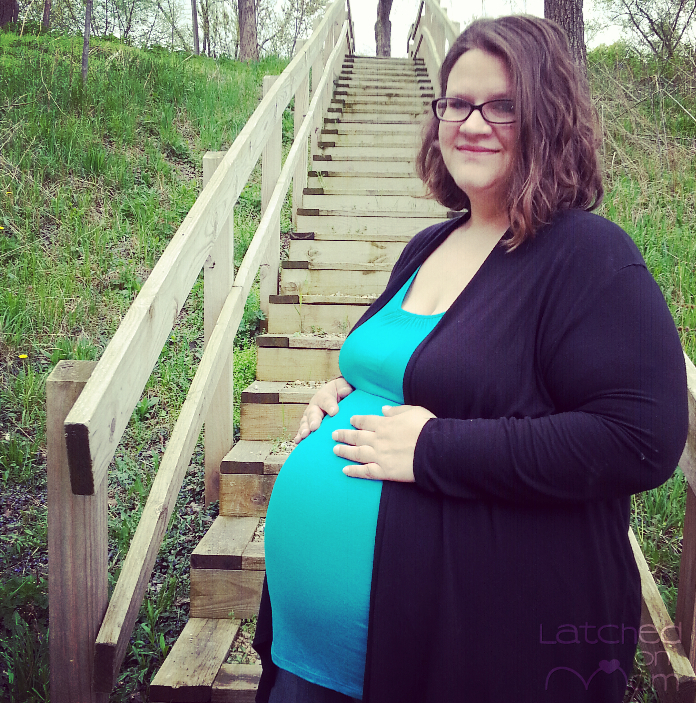 They have such a great way of making pregnant mamas feel AMAZING!!! I love that a lot of their clothing you could wear for maternity and beyond!!! I would love to get their Dusty Aqua Pleated Chiffon Lace Top Maxi Dress!! I have a wedding to go to this year and we are also trying for #2!! It would be amazing!! I also love the Mint Green Fitted Crochet Side Tank Top! It looks so pretty! I love the white swing cardigan with crochet detail on the sleeves, it's perfect for nursing too! I would really like to get any of the wrap maxi dresses. That side crochet tank is adorable! I'd love one of the Pleated Chiffon Lace Top Maternity Maxi Dresses. It comes in some really cute colors. I have a wedding I'm going to and it'd be perfect. WOW! 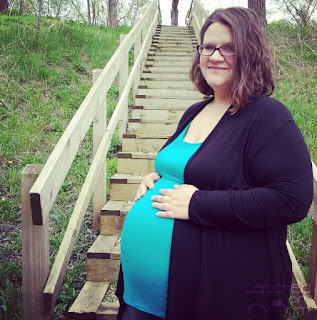 All the Maternity dresses are beautiful like the Teal Fitted Short Sleeve Dress ! always wanted one like that ! I would get the coral draped dress and the Royal blue draped front top! I would LOVE the maternity/nursing floral robes, so feminine. I love the tank and would buy that. I would get the Black Wide Striped Multi-Use Nursing/Carseat Cover and Black Cake Lingerie Dark Croissant Seamfree Maternity/Nursing Bra.